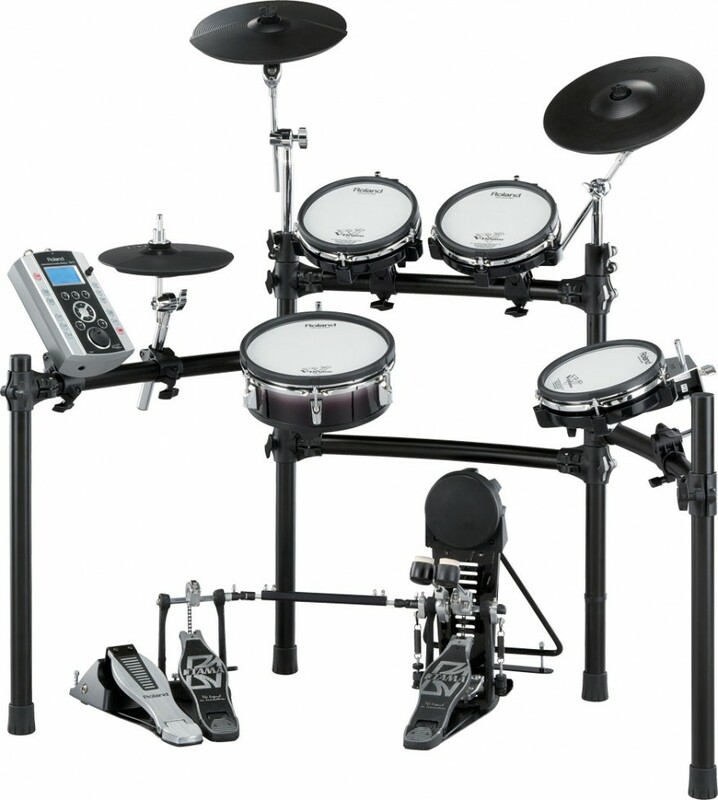 The Roland TD9 SX Electronic drum set has emerged as a solid standard for drummers of all skill levels as electronic kits have become increasingly popular. Over the past several years drummers of all skill levels have demanded quality in their kits and as a result an explosion of new electronic drum kits have arrived on the scene. Here’s my review on why V-Drums are so exceptional. Whether your and avid electronic drum fan, or a die hard acoustic rocker, it’s hard to deny the convenience, portability and versatility that a electronic drum set offers. An electronic drum set is very similar in appearance to an acoustic kit. The difference is that an electric kit uses pads and cymbals which are jacked into an electronic drum module which synthesizes the drum strokes through sensors (triggers) and outputs the sounds. The drum module allows you to assign specific sounds to each pad (device) on the kit. Roland is a leader in breakthrough designs when it comes to this type of technology. Because Roland has been tried and tested and pretty much a pioneer in this industry. They were around back in the day right after Simmons first arrived on the scene with their electronic drum pads. The TD-9 is pretty much a mid-level kit and it’s development is the direct result of consumer needs and technology. There are plenty of brands out there so whats makes Roland so special? The Roland TD9sx has become popular with drummers because of it’s quality construction, durability and performance. This set is perfect for beginners to intermediate drummers who are in need of a quality kit with an acoustic feel. In fact, many advanced drummers use the TD9 SX as a convenient alternative practice set. The Roland TD9 Drum Module is the heart of any electronic kit and is sometimes referred to as the “brain”. The module is the centerpiece of the kit and basically is what make the whole thing work. The Roland TD-9 module has 50 Pre-Set drum kits and over 500 sounds which you can assign to the pads and cymbals. It also has room for a total of 12 inputs which means you can make yourself a 12 piece kit. Nice. The kit itself has all the elements of a regular acoustic kit, except everything is, well, electronic. The pads and cymbals are constructed of a mesh which emulates the touch and feel of an acoustic kit. Some actually prefer the feel and bounce of a mesh head over traditional drum heads. I agree. Find out more by reading my in depth review of the Roland TD9 SX along with my free full comparison chart which details all the features of this kit along with other models up and down the line. You can also read up on the TD-9 Drum Module and learn about all of it’s latest features. Electronic drum sets are a joy to play and it’s hard to get up when you sit down for a session on one of these kits.Read my full review of the Roland TD9 SX, and a bunch of other stuff too, at http://RolandTD9Review.com.